Did you hear? The first day of Spring is tomorrow! There are tons of fun and exciting events coming up, but how about a few that give back? Here are our suggestions for must-do Spring events that benefit charity. 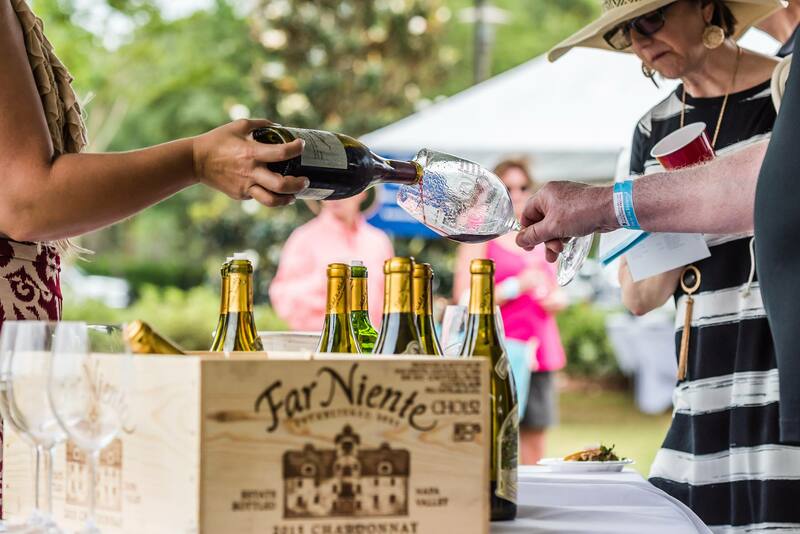 What: Enjoy wine, food, beer, spirits, and much more at the South Walton Wine and Food Festival! There are different things offered over the course of the four days depending on which ticket you buy, but in total, there will be over 800 wines available to taste. Who does it benefit? The South Walton Wine and Food Festival benefits the Destin Wine Charity Auction Foundation, which supports many local children’s charities. These charities include Children in Crisis, Shelter House of Northwest Florida, and many more. What: Guests are encouraged to dress up for this event in honor of the 145th Kentucky Derby. The event will feature “Derby Fare” from local restaurants and will offer everything from Mint Juleps to Kentucky Hot Brown. There will be a live showing of the Kentucky Derby as well as live music from the Luke Langford Band. Who does it benefit? This event is hosted by the Junior League of the Emerald Coast. JLEC is on a mission to grow their Child Clothing Project by implementing the Child Clothing Closets initiative that provides children in need access to essential clothing year round. What: This 0.5K is specifically for underachievers and involves the shortest walk possible and drinking. The cost is $30 and includes three drink tickets, a race number, medal, t-shirt, and three raffle tickets. Who does it benefit? All proceeds benefit PAWS and if you bring a 20lb dog/cat food, you’ll get three extra drink and raffle tickets! What: This waterfront historic home will host a two day event with handmade vendors, vintage and refurbished furniture, as well as a blooms exhibit. Admission is free and you’ll get to shop from all of these beautiful local vendors in a lovely venue. Who does it benefit? They will be collecting potted plant donations to create a ‘Secret Garden’ of new growth, hope and dreams for Liberty Church founder Kristin Lipscomb’s ‘The Secret Place’ – A safe retreat home for human traffic child victims (between ages 12-17). What: BoJamz is a one day music festival on the Destin Harbor featuring a silent auction and huge crawfish boil aimed at bringing the community together to raise money for a great cause. Who does it benefit? Proceeds from BoJamz will go to benefit The Wright Fight for Cystic Fibrosis. This was started by William Wright and his wife Magen after having twin sons that were born with Cystic Fibrosis, a progressive, genetic disease that causes persistent lung infections and limits the ability to breathe over time. Boshamps is asking the community to come together in raising money to find a cure. Funds will be raised by collecting a $10 suggested donation at the door as well as a large silent auction featuring items donated by the community. There you have it, friends! If you want to take part in the festivities this area brings along with the beautiful weather, why not make sure you’re giving back at the same time? I’m personally looking forward to the South Walton Wine and Food Festival.  Which events are you most excited for?